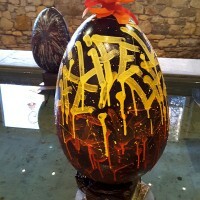 Oeuf, Chefs d’œuvres et Chocolat, some unique eggs works created by chocolate confectioners from the region, are celebrating Easter in Mougins and Villeneuve Loubet. 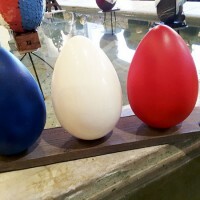 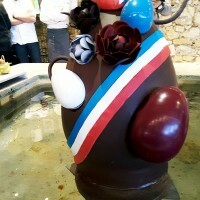 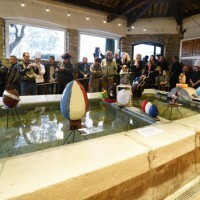 Oeuf, Chefs d’œuvres et Chocolat, after Mougins Monumental and its life-size sculptures, is exhibiting at Le Lavoir in the heart of the old town of Mougins, some gorgeous chocolate eggs, real works of art on the theme of Patriot Easter, signed by twenty chocolate confectioners from the Maritime Alps. 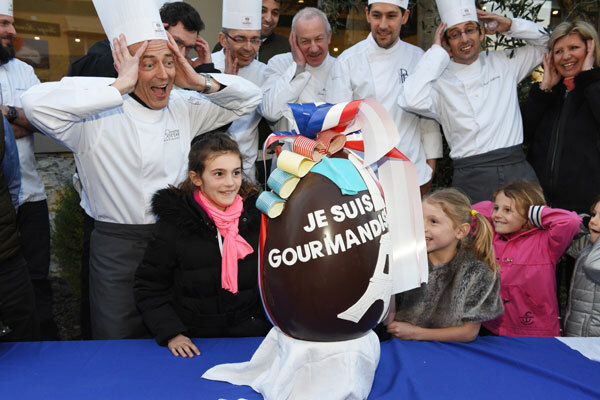 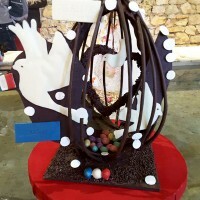 The exhibition Oeuf, Chefs d’œuvres et Chocolat is held both in Mougins and Villeneuve Loubet, at the Pôle Culturel and the famous Escoffier Museum in Villeneuve Loubet Village. 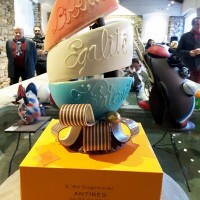 These three exhibitions highlight the unique chocolate eggs creations by artisans chocolatiers in the region, members of the Union of Pâtissiers Chocolatiers, Glaciers et Confiseurs of Alpes-Maritimes. 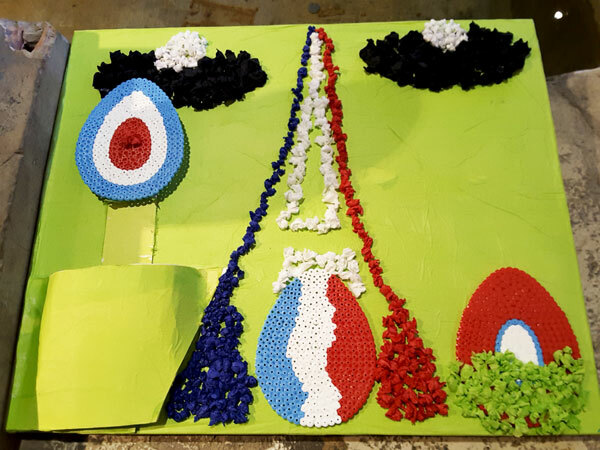 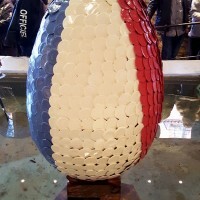 The artisans wished to celebrate Easter by paying a “patriot” tribute in the colors of the French flag, blue, white and red, after the attacks which have cast a shadow over France in 2015. 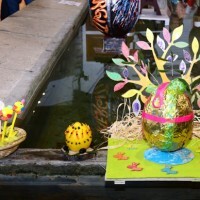 Artists, children and elderly people were also involved in this great event by creating Easter eggs in wood. 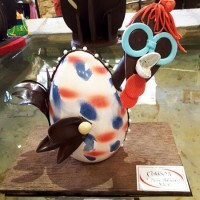 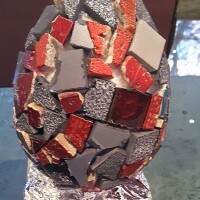 Their creations – tagged eggs, covered with blue-white-red or made of steel imitation – had the honor of being exposed among the masterpieces of pastry chefs and chocolatiers. 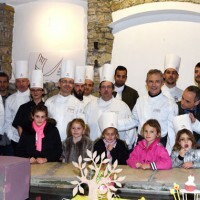 The launch of the first exhibition – Oeuf, Chefs d’œuvres et Chocolat – was held at Le Lavoir in Mougins on March 18, 2016, in the presence of Richard Galy, Mayor of the town, Christophe Tourette, President of the Tourist Office, Christian Cotard, Chairman of Union of Pâtissiers Chocolatiers, Glaciers et Confiseurs and artisans and chefs involved in the operation. 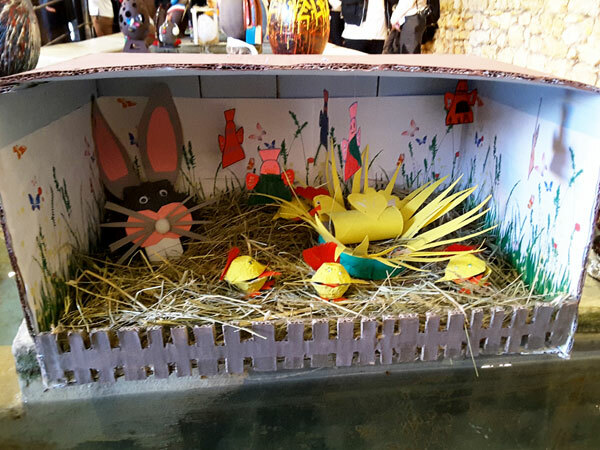 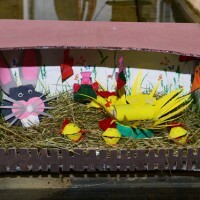 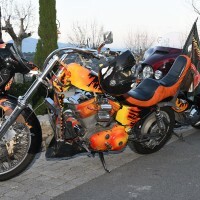 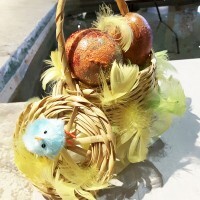 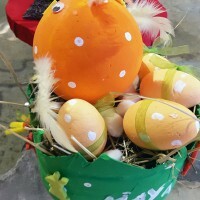 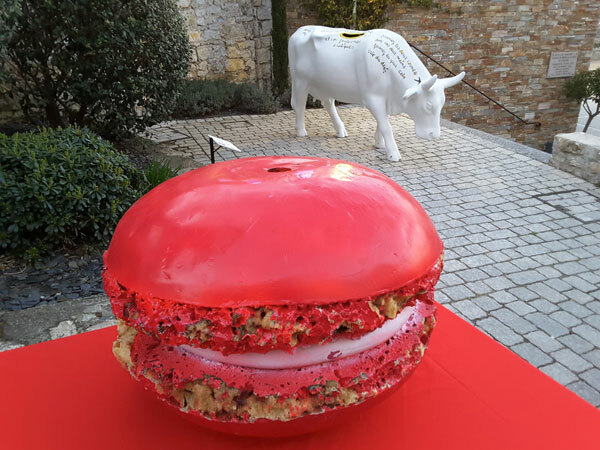 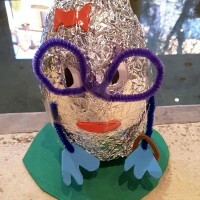 During the vernissage, the contest for the most original Easter creation was launched in the primary schools in the town of Mougins. 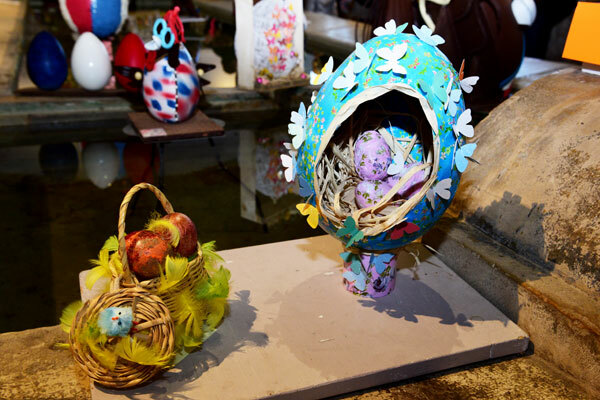 Children’s creations were displayed amid the masterpieces of pastry chefs and chocolatiers. 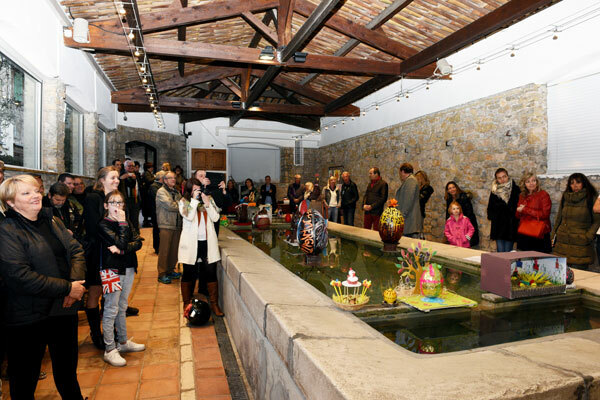 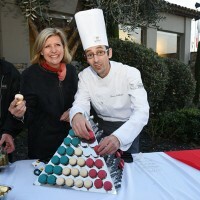 The opening of the second and third exhibition took place in Villeneuve Loubet on March 21 in the presence of MP Mayor Lionel Luca and many confectioners. 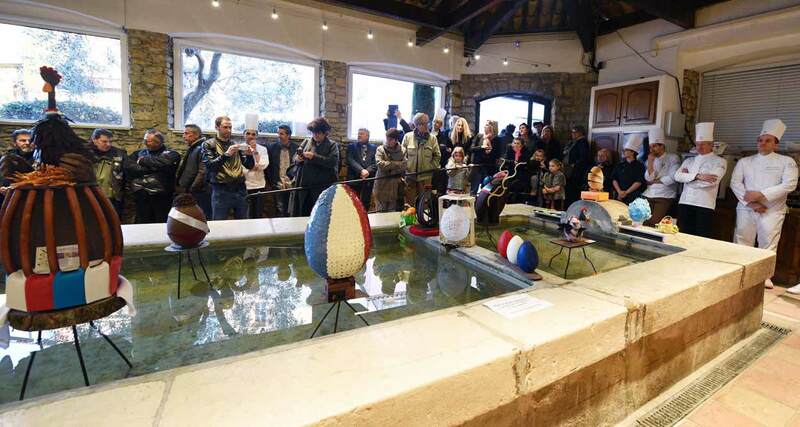 A path of plywood eggs was exhibited between the Pôle Culturel Auguste Escoffier and Auguste Escoffier Culinary Museum. 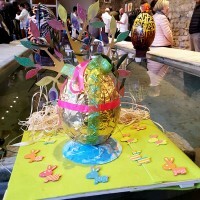 More than 40 eggs painted by Villeneuvois artists, students of a primary school and the Bel Age association guided young and old people to the majestic chocolate eggs. 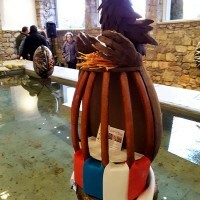 After these exhibitions, the eggs will be distributed and made available to associations (Fondation Lenval, AFAO, Harley du Coeur) to allow children to celebrate Easter with delicious – and gorgeous – chocolate!